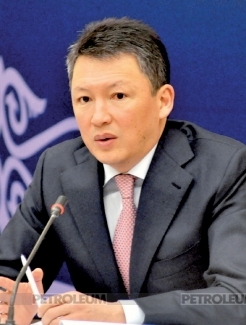 It is essential to highlight that in the month of July this year, while predicting political stability in Kazakhstan for a short term period, the S&P assessment also made an emphasis on the institutional risks in the country, while the whole political decision-making process is concentrated only in the hands of the acting President, his resignation could disrupt the entire power hierarchy. It is to be noted that the time factor is definitely playing against the Ak Orda (White House), which didn’t offer a significant scheme to the change of power in the country. 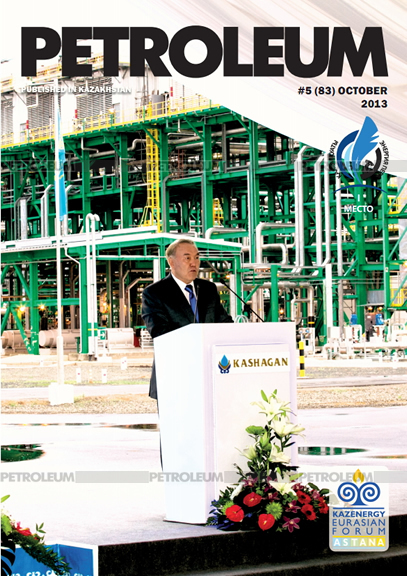 It is not a surprise that the theme, associated with the future of Kazakhstan after the resignation of the first President, becomes more crucial, as this year the President N. Nazarbaev turns 73 years. Therefore, the mounting political uncertainty due to the circumstances of the President’s resignation has been a major concern for a long time to the foreign and domestic investors. 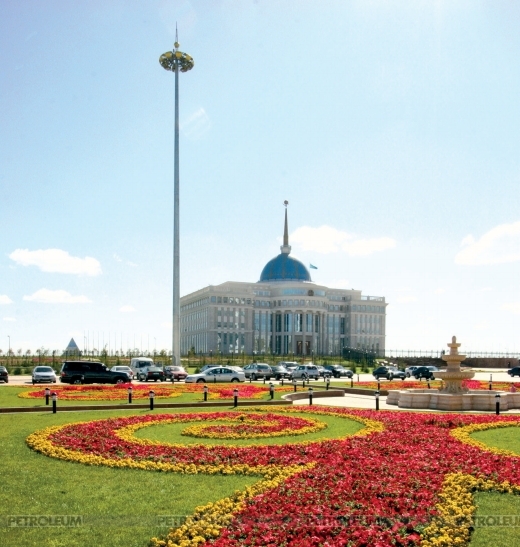 In particular, majority of people are worried about the validity of the traditional system of checks and balances will exist with the elite of Kazakhstan, which was established by the first President himself and is based on his role as the final arbiter. This is due to the fact that the political stability in the Republic, first of all, implies the stability of relationships within the political elite, which is composed of several influential players. 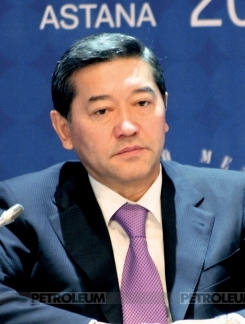 In regard to this, a research project of the Alliance of the Investigative Organizations of the Republic of Kazakhstan appears to be quite interesting - at the beginning of 2013, they published for the first time to Kazakhstan’s audience a collective article titled: “The Twilight Zone, or Traps of Transition Period", dedicated to the different scenarios of the country’s development after the change of power. It has turned out that the Kazakhstan's "point of divergence" of the political system is not the resignation of the current President, but the early deviations of his system. Hence, it does not matter how and to whom the power will be transferred. Any political force coming to power after the first President, sooner or later, would alter the political and economic system of the country, even if the continuity of the current policies are be declared. And this process will begin with the banal property redistribution which will divide the elite and the society. Secondly, an additional cause of the conflict is the lack of legitimacy of the key players and their attempt to get the power. The problem of Kazakhstan is that none of the existing political players will automatically be legitimate after passing the point of bifurcation, which would enable them to safeguard, or to reform the political system. The elite representatives are equivalent in terms of their claims to power. By the way, this also applies to the members of the presidential family. The elite were primarily driven into the trap of confrontation "successor-anti-successor". In addition to that, there are two more political traps. First, it is difficult to manage the political system, which was tailor-made for a specific politician, having a certain charisma as the supreme arbiter of the inter-elite interactions. And secondly, the conservation policy for the sake of conservation, will sooner or later, create a boiler effect. Then there is endurance in maintaining the socio-political and economic source which will not result in anything good due to the long-delay effect. There's still a "dark horse" factor, which will shoot up in the case of the long-term power struggle which could lead to a temporary, transitional, puppet figures, representing those or other groups. But the main threat is that, in case of a possible change of Government, there will be no viable political institution that could serve as a shock absorber or a safety airbag. The maintenance of weak political institutions for namesake, in case of slackening supreme power, threatening to divert the political struggle outside the legal field, to shadowy new games and violence. 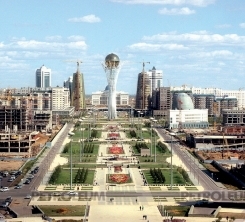 Sadly but in Kazakhstan any scenario of political development, that excludes a well-known saying: "After us the deluge! ", can be considered as the ideal one. The first is the party of the status quo (the elites, part of the bureaucracy and part of the society). Their main task is to extend the current conflict-free system. The second group is the reformers (supporters of a soft transformation system). It can also be a part of the elite and bureaucracy, as well as the structural part of society. The reformists will look for support from the oppositions, supporting the evolutionary transit model. The third player is a radical group that would urge the rapid collapse of the current system with a view to clearing the political arena in order to strengthen its legitimacy. These include the extremist and terrorist organizations, and also the political and business elite. The point of importance for the international community will be the first two groups and their leaders. But the main focus will be only on those forces that can prove their legitimacy in the eyes of a substantial part of the society, and the elite groups. The latter includes not only the groups of the first President that implicates pressure and their affiliates from the financial and industrial groups, but also the elite from the regional areas, which will begin their game in case of distortion of the power hierarchy. This is the fourth group. Also more opportunities will appear for the emergence of new regional players just after the resignation of the current President that will lead to the processes of redistribution of power and resources. In this "twilight zone", many of the regional elites, who are now within the shadows, may try to assert themselves as the political players, trying to fill the subsequent power vacuum. Therefore, the regional elites, in the long term, will be a major force. Therefore one shall not underestimate the current regional factor. Moreover, many Kazakhstani regions look like ‘mini states’ with their own ‘mini-Presidents’ and unwritten laws. There is also a formal power that exists with the persons of the Akims (Governors). There are informal centres of power, represented by the local regional elites. Often the latter outweighed the first ones. Of course within their regions, the local shadow bosses feel too competitive. But in order to reach the Center, they must either be an integral part of one of the pressure groups, with all the associated costs or create their own groups,that requires large resources and mobilization of the most influential people, representing the interests of several geographically close regions. Either it’s worth waiting for the era of change, accumulating the resources for a future bout. As for the Senate that plays mostly the role of the guard, no longer represents the interests of the regions in case of the Mazhilis (Lower chamber) malfunctions. 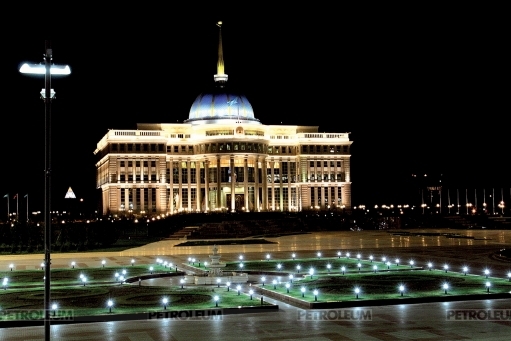 But even if the Kazakh authorities will begin to device the scenario for transformation of the presidential system into the presidential-parliamentary system by reducing the functions and powers of the President and therby increasing the role of the legislative branch, it’s now too late to implement this scenario. Of course, one can preassume that the presidential administration considers the plan, in which the Parliament as the legitimate body could take the political responsibility for stability in the country after the resignation of the current President. However, the main issue is not to provide the Parliament with more functions and powers, as it will cause a technical issue that can be addressed rather quickly. It is about improving the credibility of the Parliament, both in the eyes of society, and the elite. And this requires that Parliament to have strong parties that could win the electoral struggle. But any prospect of partial liberalization of the society is unlikely to find the support from a majorityof the political elite. In this context, one should not overestimate the approaching Congress of pro-presidential Nur Otan party. Even if the statements on the reforms will be done, the time for the systematic political changes has already gone, because the party itself, being a part of the existing political system, with all its defects and disease, is ‘a priority’ unable to produce profound reforms. Again, there is a contradiction between the possible reform ideas and a lack of institutions that can implement them effectively. Regarding certain shortlisted persons, who under certain conditions, have the chance to lead the Ak Orda, has not changed. Only the former son-in-law of the President, Rakhat Aliyev, left the list. And even it seems to be temporary. In general, the list can be divided into two groups: members of the President's family and all the rest. The second group is quite extensive, primarily consists of the ‘old guard’, more interested in preserving the status quo after the departure of the first President. At this juncture, certain balance is to be maintained between these groups, which were slightly disrupted after Aslan Mussin’s resignation from the post of the Head of the Presidential Administration. 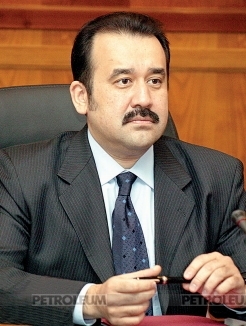 The indirect attack on him was through the closest persons in Atyrau Region, where the resignation of the Mayor, Bergey Ryskaliev was immediately perceived by the many experts as a result of the inter-elites war in the shadow of the President, where several influential figures united against Mussin. Although only half goal is reached, as the former head of the Presidential Administration still remains in the system and even he attained the post of Chairman of the Accounts Committee for the Control over Execution of the Republican Budget. In general, the alignment of the participants of the major games in the Presidential setting didn’t undergo serious changes. First of all, we are speaking about the Head of the Presidential Administration, Karim Massimov, the Chairman of the National Security Committee Nurtai Abykaev, President's son-in-law, Timur Kulibaev, the Mayor of Astana, Imangali Tasmagambetov, Head of the National Wellfare Fund Samruk-Kazyna, Umirzak Shukeev, Prime Minister Serik Akhmetov and others.